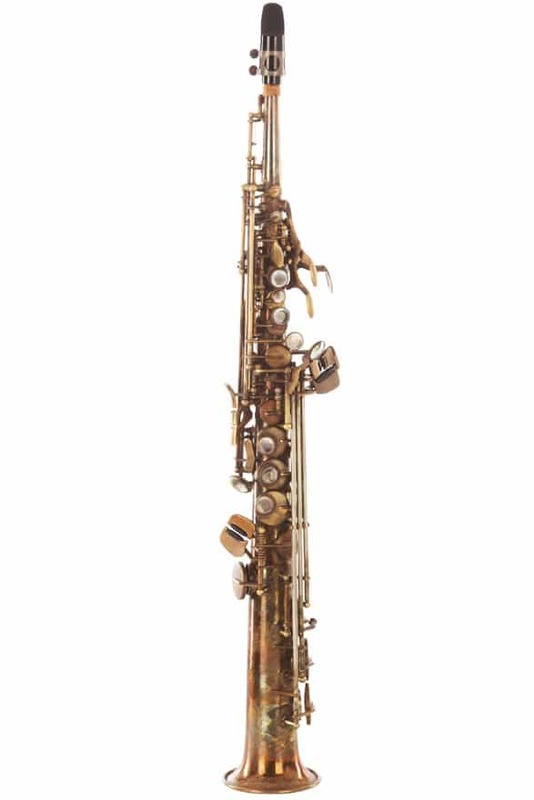 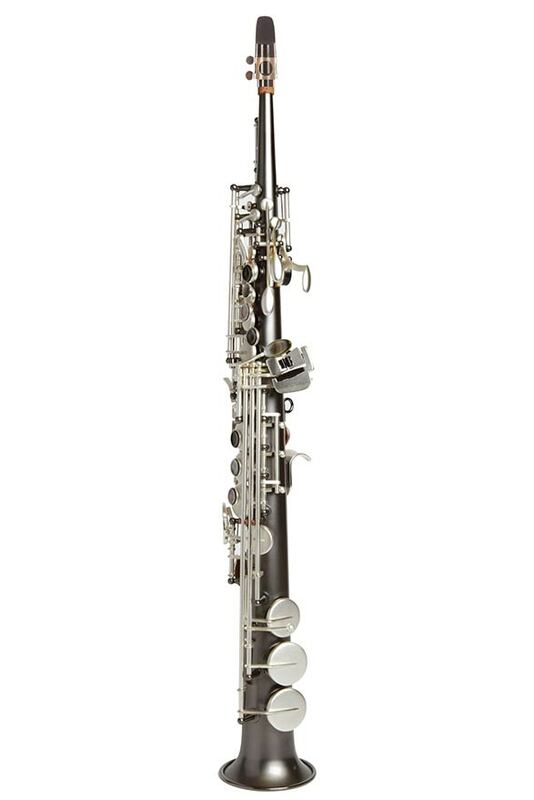 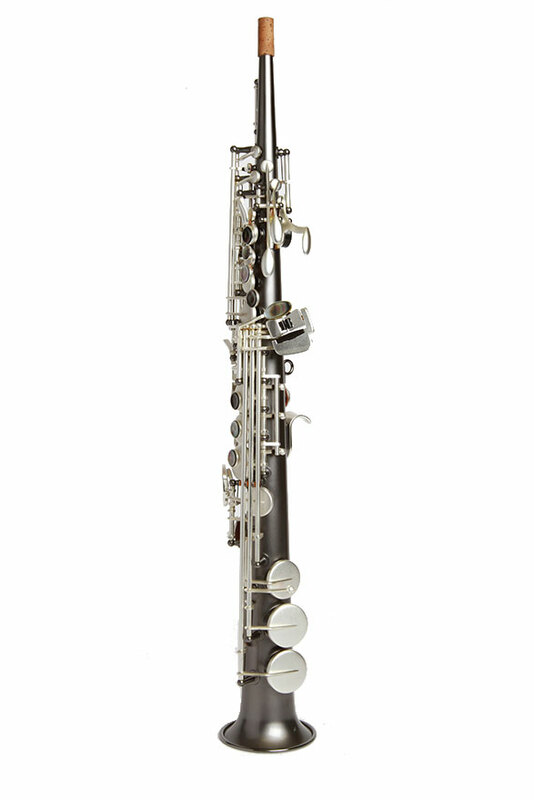 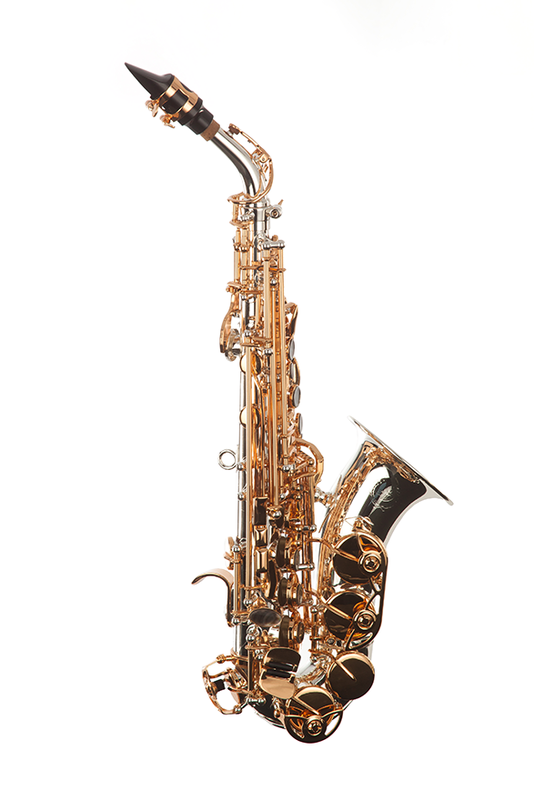 One piece straight body Soprano saxophone, no steps in the tube and no collar screws. 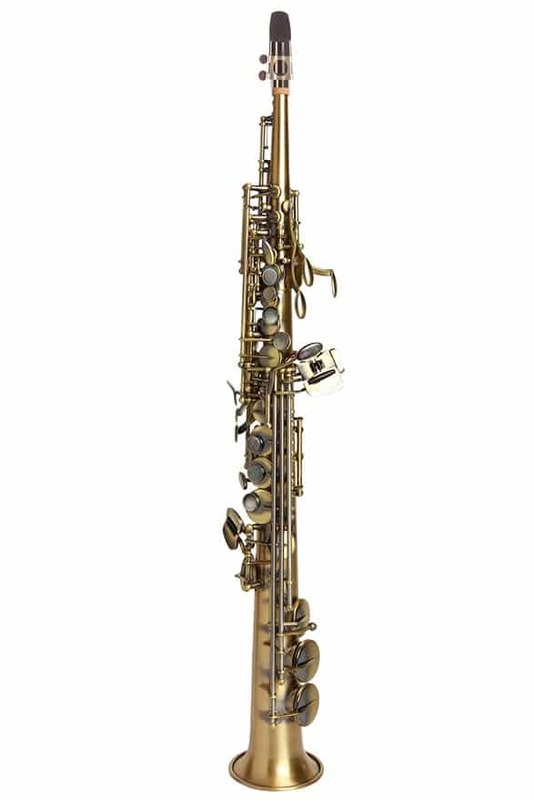 Post to body construction. 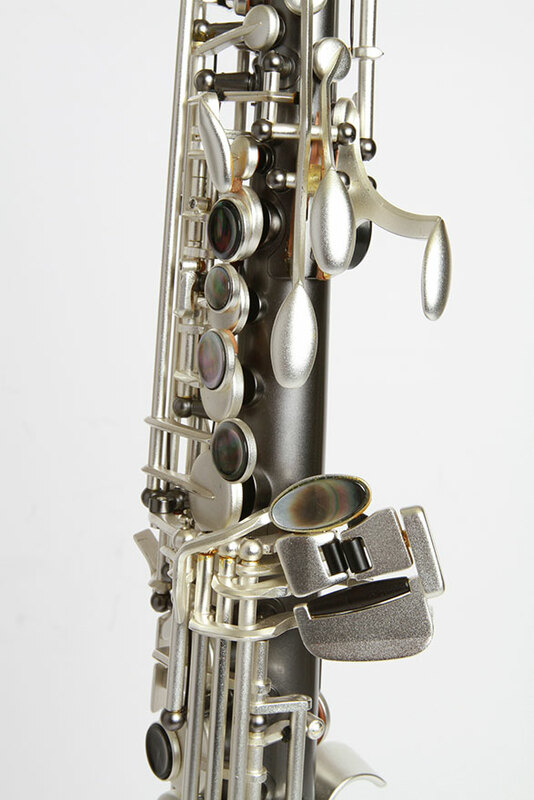 Available in Gray Onyx with Satin Silver Keys and Trim.